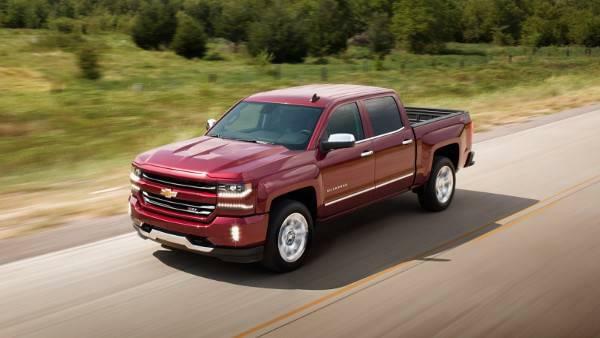 Are you looking for a reliable Chevrolet dealership near Portage, IN that has a diverse new and used inventory, a helpful finance department, and a knowledgeable service center? Mike Anderson Chevrolet of Merrillville provides exceptional customer service no matter what you stop in for. Our Chevy dealership serving Portage, IN is conveniently located at 1550 E 61st Ave in Merrillville. To get to our dealership, follow these simple directions. Hop on I-80 W/I-90 W and continue for 2.6 miles. Take exit 21 to merge onto I-80 W/I-94 W toward IN-51 S.
Take exit 12 and merge onto I-65 S.
Take Exit 255 for 61st Ave and take a left. Turn right onto Marcella Blvd. Turn right onto E 62nd Ave. Turn right at the first cross street onto Mississippi St. Turn left at the first cross street onto E 61st Ave.
Are you looking for a brand new Chevy Cruze for the commute to work? Is owning a Corvette on your bucket list? No matter what type of vehicle you’re looking for, Mike Anderson Chevrolet has the new and used inventory to make your decision an easy one. After you’re done browsing, be sure to schedule a test drive so you can try out your favorite model. Whether you’re looking to purchase or lease your vehicle, Mike Anderson Chevrolet of Merrillville has the auto finance options for any budget. Our team of friendly finance managers will work to meet your every need and get you into the car you deserve. We recommend that our customers use our financing tools before they sign up for a plan. The payment calculator gives you an estimate of your monthly auto payment based on a number of factors while the credit score estimator does exactly as its name suggests. Before you make a definite decision, check out our new vehicle offers and incentives and pre-owned specials to get a great deal on a new or used Chevy vehicle. Do you need a tire rotation? Is your car not performing the way it used to? Bring your Chevy car, truck, or SUV to the auto service center at our Chevy dealership near Portage, IN for top-of-the-line auto maintenance and repair. We staff only factory-trained technicians who are familiar with all makes and models of Chevy cars, trucks, and SUVs. Learn more about the Mike Anderson of Merrillville auto service center, and be sure to check out the service specials and coupons before you schedule your appointment. We are Indiana’s #1 Chevy dealership and have been dedicated to providing excellent customer service for many years to everyone who steps into our showroom. When you visit our Chevy dealership serving Portage, IN, you’ll be treated as if you’re family. We don’t use high-pressure tactics; all we’re focused on is getting you into the Chevy car, truck, or SUV you love. For more information about Mike Anderson Chevrolet of Merrillville, send the team a message online or call 219-947-4151.